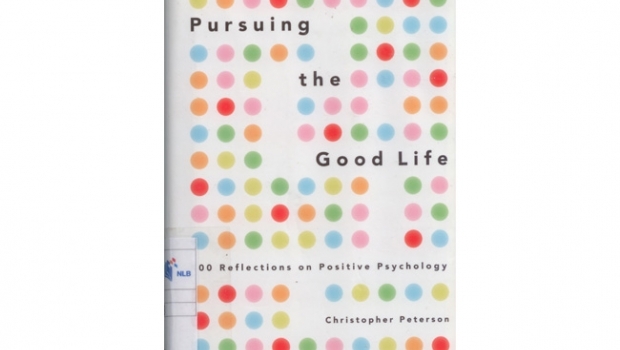 Positive psychology is interested in how we can pursue ‘the good life’. Christopher Peterson (1950-2012), one of the pioneers of this field, reflects on emotions, relationships, work, education and more. Positive psychology is interested in how we can pursue ‘the good life’. Christopher Peterson (1950-2012), one of the pioneers of this field, reflects on emotions, relationships, work, education and more. Unlike many trade books on positive psychology, he often takes care to qualify his statements rather than present standard blueprints for achieving success and happiness. This book is neither a manual to instant happiness, nor is it an academic textbook filled with research findings. Rather, it relates positive psychology to pertinent areas of life through personal musings and reflections, on topics ranging from family and relationships to more seemingly casual ones such as sports and smiling. Often witty, humble and always thought-provoking, Peterson’s book will give readers pause on various details in their lives. “I use as many clichés as anyone, but there are a few that I will not trot out because I have come to dislike them immensely. “Think outside the box” is one of these expressions. Indeed, it is so inside the box! I just did a Google search for the exact phrase and found 1,200,000 hits. I have no problem with what the expression tries to convey – the importance of looking at things in a new way. That is, after all, one of the defining features of a creative act and a creative person. But increasingly, I hear the expression used as if it were the only defining feature of creativity, which it is not. Most who think seriously about creativity agree that it entails not only novelty (that outside-the-box stuff) but also utility, and in order to be useful, it has to go above and beyond what is already known (that inside-the-box stuff). Whenever I hear people say that they “think outside the box” I cringe, because I have rarely heard folks who are genuinely creative so describe themselves. I also am suspicious because I hear these people saying – and here I may be unfair in some cases – that one need not know what is well accepted. As a teacher, I want my students to know what is inside the box. This is not because I am a defender of the academic or intellectual status quo. It is because knowing what is inside the box is the only way to get outside the box in a useful way once the basics are mastered. Psychologists who study prodigious accomplishments, in science, music, or art, speak about the 10,000-hour rule, meaning that in order to do something notable in some field, one must devote 10,000+ hours to mastering the discipline in question… Practice, practice, and practice, weedhopper, and appreciate that much of this practice needs to be done inside the box.